There’s something magical about Scotland- a sense of coziness that you can’t find anywhere else in the town. The towns, cities, and villages are exude it in the most subtle ways making it really hard to not fall in love with instantly. From breathtaking views as far as the eye could see, to thriving cities with cozy cafes, to endless options of seafood and whiskey (among other things), there is something for everyone. Glasgow is the perfect example of that. Significantly larger than Edinburgh in both size and space, the city feels like it has stretched itself to its edges, but it surprisingly doesn’t feel too packed or empty. Taking a stroll through the city feels like stepping back in time- you’ll find theatres, opera houses, tea houses- are preserved in their glory. The city is a cultural hub through and through, and one of the easiest ways to see that is by taking a glance at its food scene. 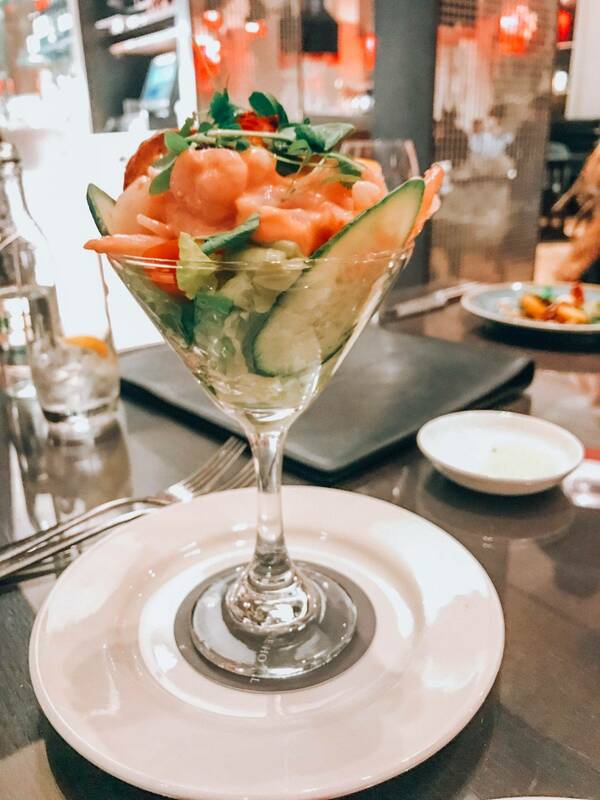 So, if you’re a foodie like us, and that is one of the ways you like to explore new destinations or are a fan or gin and whiskey (and who isn’t! ), then Glasgow is the perfect place for you. 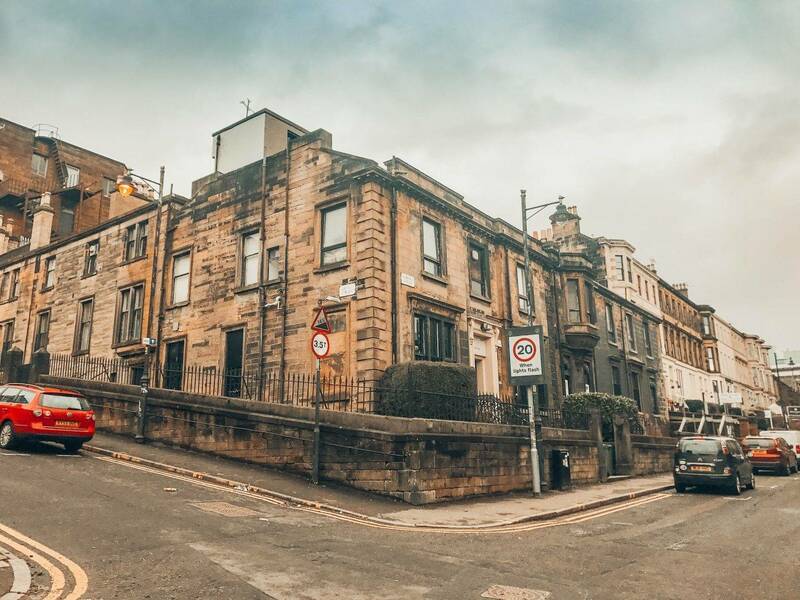 To make it really easy, we’ve put together a weekend guide of other things to do in between meals, where to stay in Glasgow, how to get there, and what the Glasgow nightlife is all about – because, let’s be real here- those calories don’t burn themselves off. Remember the days when flying to Europe used to be expensive and a chore, and it took hours and hours of research and sometimes just sheer luck to find a really cheap flight? 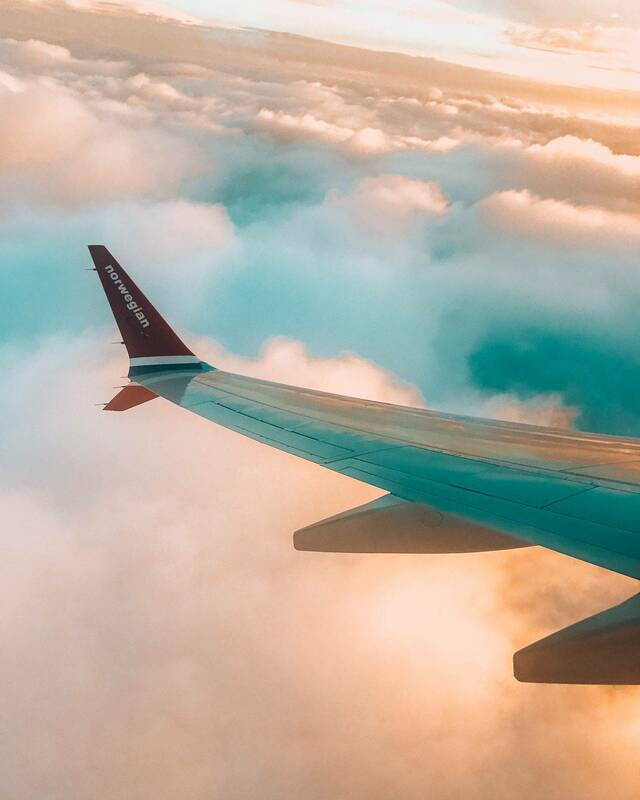 Well, those days are behind us because Norwegian Air just launched a new budget friendly direct flight from New York Stewart International Airport to Edinburgh. It’s only 70 miles outside of Manhattan, and they provide a super easy shuttle with wifi from the Port Authority (this is a great way to get work done on the way to the airport- or if you’re like us- take a nap!). Honestly, for those of us who travel extensively, or those coming from the boroughs, the charm of Stewart International can not be over stated. Its a stress free way to travel, and beats the craziness of JFK, Newark and LGA every time. You can take the train which takes about 54 minutes. You can also take a cab or a shuttle which take about 90 minutes or so. If you’re like us and like using UBER on the ground, then we recommend using Edinburgh Airport Cars to get to Glasgow and back. Both are easy and convenient options, but we recommend renting a car if you’re planning on visiting other parts of the country. Also, saving money on flights means you can treat yourself when you get to Scotland. You might not know that Norwegian is the world’s sixth largest low-cost airline and carried 30 million passengers in 2016. The airline operates 450 routes to 150 destinations in Europe, North Africa, Middle East, Thailand, Caribbean and the U.S. The airline offers 50 nonstop routes from the U.S. to London, Paris, Scandinavia and the Caribbean so chances are that they have you covered. Austin and Chicago friends- they just launched a new direct route to London. We’re a sucker for great hotels because your daily experiences begin and end there. 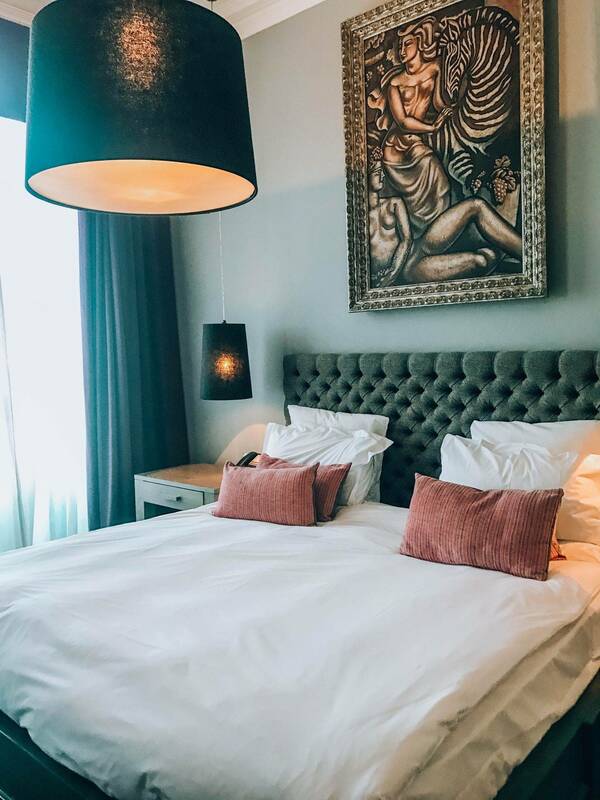 Having a great bed to sleep on, great amenities, and customer services that make you feel covered are all part of a great rounded experience, and if you’re into the same thing then The Principal Blythswood Square Hotel is going to for you. 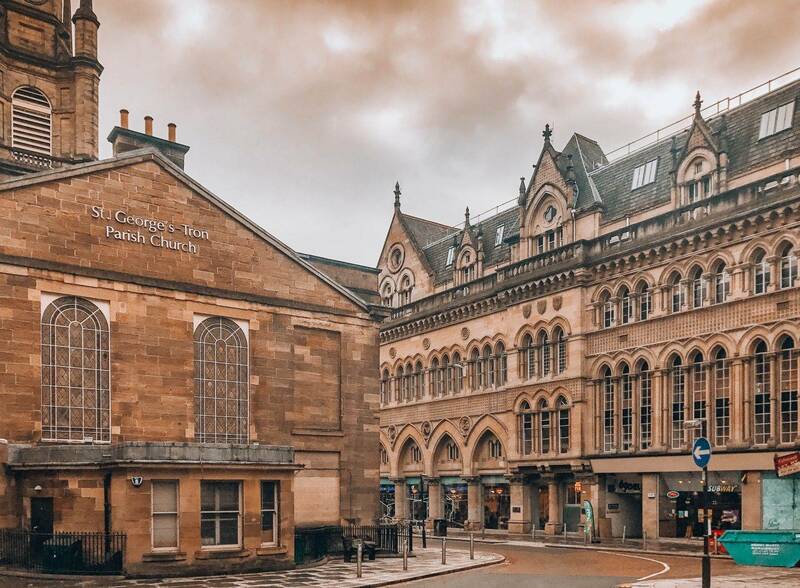 As Glasgow’s only 5 Star hotel, it’s located right in the heart of the city and minutes away from the shopping district. 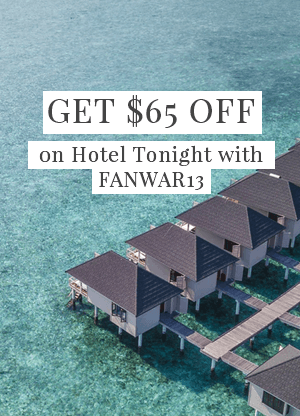 They have everything we needed to make this trip extremely memorable- from a sauna to ease our tense muscles, to a delicious breakfast buffet complete with mouthwatering smoothies that got the day started right to the most magical and comfortable beds that ensured a great night’s sleep. One of our favourite things about staying was that The Principal Blythswood Square Hotel is one of the few Glasgow hotels with a pool. And not just any kind of pool- a hydrotherapy pool. The Principal Hotel brand sets a high standard across the board, and every single location delivers on that 5 star promise. 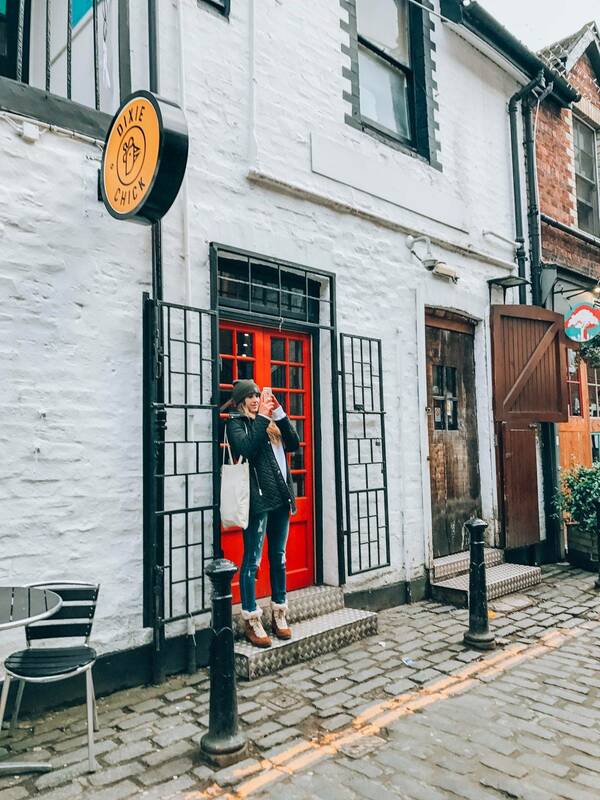 It wouldn’t be a weekend in Glasgow if you didn’t go out and explore the city first. If you’re an architecture lover like us, then this city is going to tick off all the boxes for you. TIP:We recommend walking the city centre first to get the lay of the land first or jumping on the hop on hop off bus to get acquainted faster! 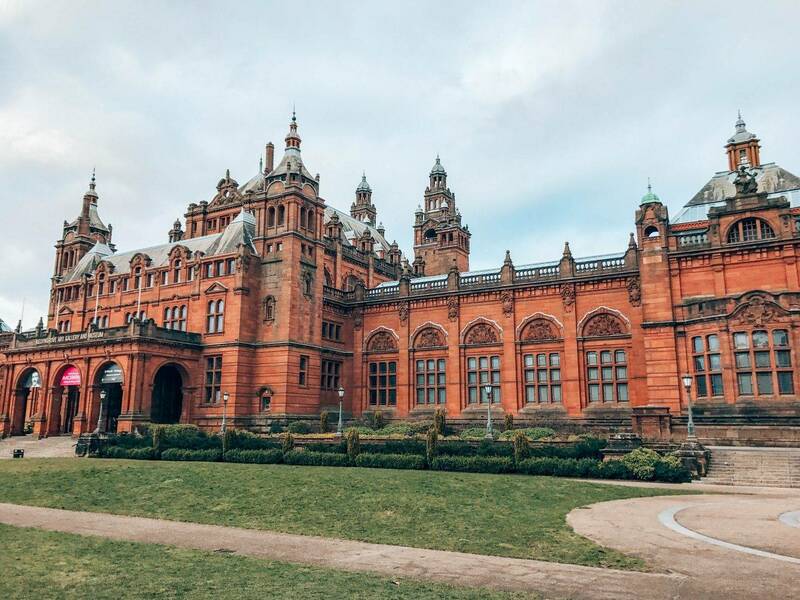 TIP: One of the best things about Glasgow is that all the museums offer free entry, so you can explore as much as you want without hurting your pocket. Head straight to Buchanan street. Here you’ll find all the trendy shops- both chains and local. Don’t be afraid to pop in behind alleys either. There are a lot of really neat hidden gems tucked away. Honestly, we won’t judge you if they is how you spend your entire weekend in Glasgow. We’re guilty of it too. Glasgow’s nightlife is pretty spectacular. While not the party hub that other cities can be, it is really lively as Glasgow is, at its core, a University town. Whether you’re looking for the traditional pubs with live music, more intimate lounge scenes or a lovely night at the Theatre, there are so many things to do in Glasgow at night. This is where the city unexpectedly shines, and you can easily eat your weight in food over a weekend. Ubiquitous Chip ( is affectionately known by Glaswegians as “The Chip)” is something similar to a the Rainforest cafes that you find in different cities across North America, but with a grownup twist. The menu is inspired by regional Scottish dishes using solely Scottish produce. 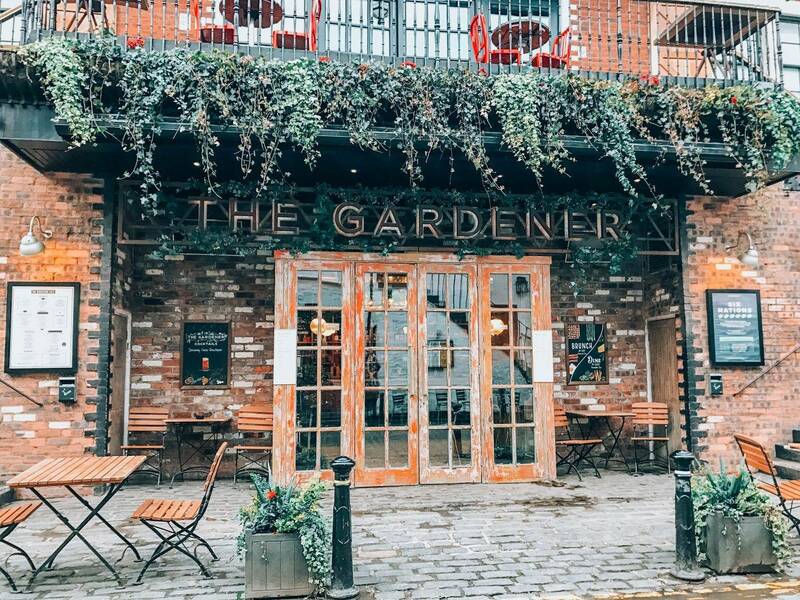 This is one the place we recommend heading if you only have a weekend in Glasgow. 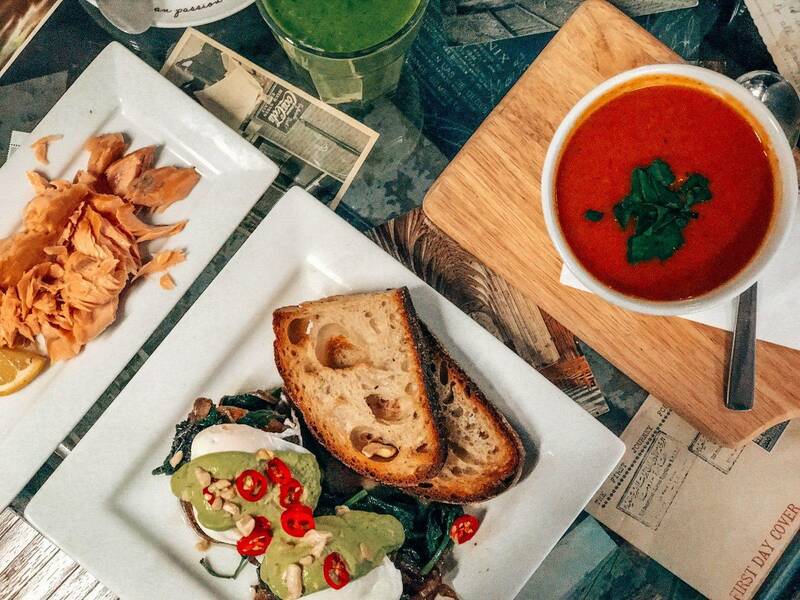 Number 16 is a cozy cafe in the heart of the city’s west end take serves traditional meals with a modern twist such as Gin cured smoked salmon. Singl-end is a community café and bakehouse, with a menu has been inspired by the growing demand for superfoods and raw ingredients such as Camargue rice, quinoa, nuts, citrus fruits and spices. Great place to balance out any and all whiskey and gin that you may or may be consuming. 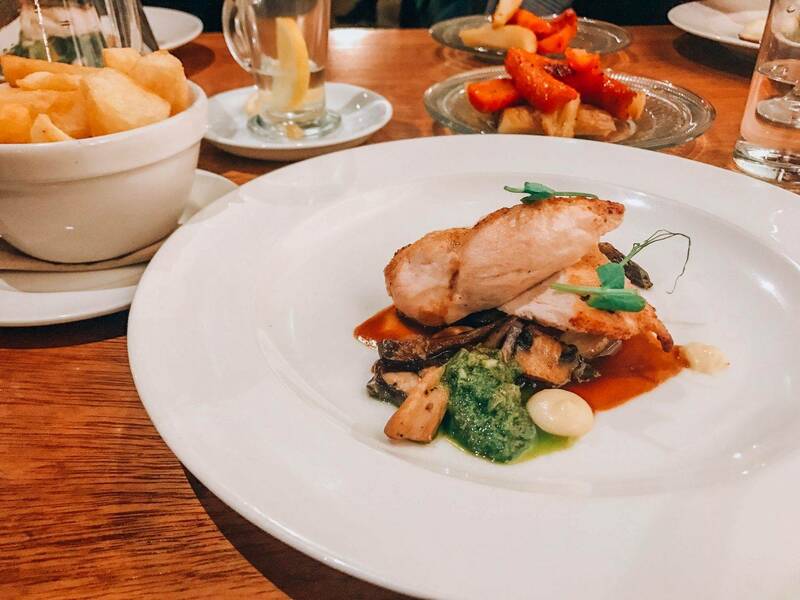 The Restaurant at Blythswood Square is has a perfectly curated menu made of high quality Scottish classics. 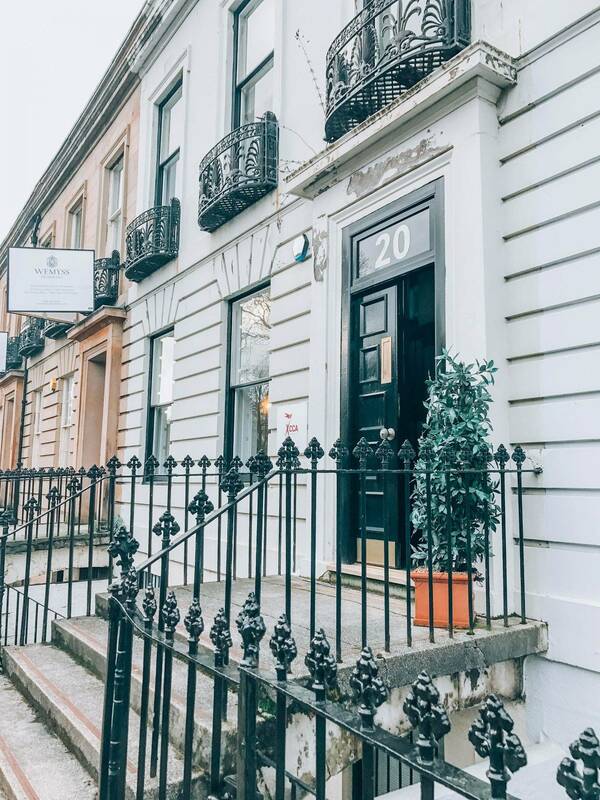 Located in the heart of the city and on the ground floor of the Principal Blythswood Square, the restaurant is perfect for almost any occasion from afternoon tea, brunch, lunch or dinner, and one of the main reasons that this is where you should stay in Glasgow. Also, one of the few Glasgow hotels with a pool- to burn off those calories. What makes Glasgow so special is that there is something for everyone regardless of how much time you have to spend here. 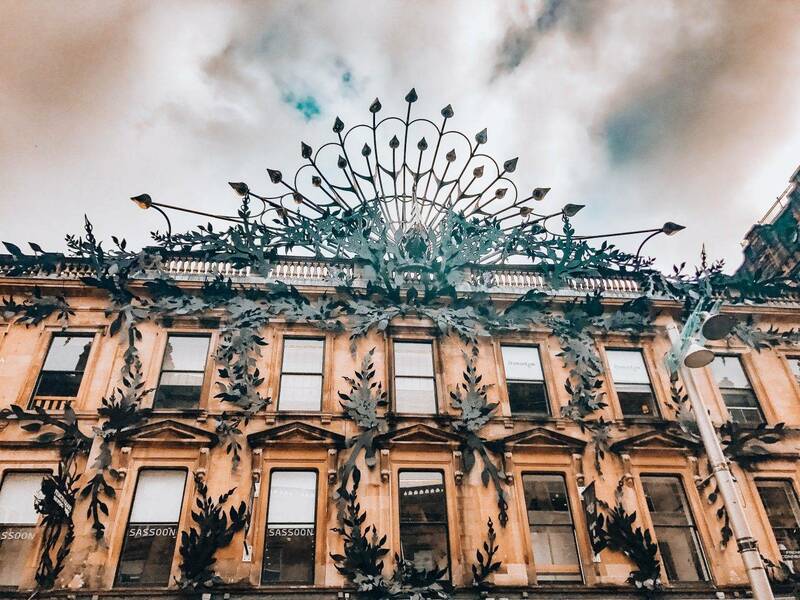 While you can use Glasgow as the main hub for all of your day tours to the highlands, you can just as easily spend a week or two here exploring the cities architecture and design history. The city is full of surprises, and there is something to do, both day and night. Honestly, for us, a weekend in Glasgow isn’t enough- and we can’t wait to go back. Whiskey with an “e” is Irish, and whisky without an “e” is Scottish. Great weekend places in Glasgow. You have given a valuable list to do and to eat in Glasgow. Thanks for sharing with Us!